Scottish Government's analysis will show 'hard Brexit' could cost country £12.7bn. 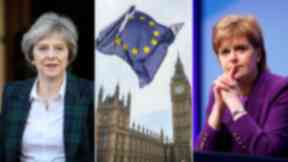 Nicola Sturgeon has accused Theresa May of a "dereliction of duty" in failing to set out the economic impact of Brexit as the Scottish Government prepares to publish its own analysis. The Scottish Government report will suggest the cost of a so-called 'hard Brexit' to Scotland could reach £12.7bn a year. The First Minister said the study will make clear that remaining in the European single market and the customs union would be the least damaging option for the economy. The paper comes as the SNP and other opposition parties ramped up their campaign to prevent a hard Brexit, with pressure mounting on Labour join in. The UK Government has already made it clear it will seek to take Britain out of the single market and pursue a bespoke trade deal with the EU. The Scottish Government's study, to be launched by Sturgeon in Edinburgh, looks at the impact of three different Brexit outcomes on GDP, trade and immigration. These include staying in the single market and customs union, a preferential trade agreement or reverting to WTO (World Trade Organisation) terms. The latter option - hard Brexit - would cost Scotland around 8.5% of its GDP according to the paper. This would be the equivalent of £12.7bn a year by the year 2030, or around £2300 per year per person in Scotland. 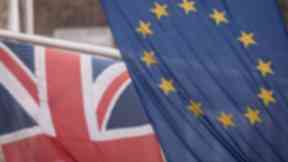 Brexit Secretary David Davis told MPs last month that the UK Government had not carried out any impact assessments of leaving the EU on the UK economy. He said "sectoral analysis" of different industries had been drawn up, but not a "forecast" of what would happen after Brexit. Sturgeon said: "More than 18 months on from the Brexit vote, it beggars belief that the UK Government is not only still unable to say what kind of relationship it wants with the EU, but has also failed to produce any meaningful economic assessment of the different possibilities." 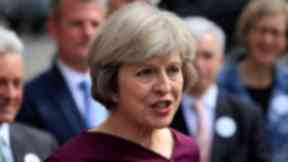 She added: "It will be a fundamental dereliction of duty as Prime Minister if Theresa May continues to pursue her red lines without providing information on their impact, and publicly discussing the options available. "Of course, there is no alternative arrangement that can deliver the jobs, people and economic benefit that come from remaining members of the European Union but if the UK continues down the path of leaving the EU, it is the Prime Minister's duty to do as little harm as possible to the economy. "The Scottish Government is absolutely clear that, if the UK is indeed leaving the EU, then it must stay within the single market and customs union to prevent needless job losses and cuts in living standards." The SNP government has previously called for a "differentiated deal" for Scotland, allowing it to remain in the single market even if the rest of the UK leaves. The Scottish Conservatives urged Sturgeon to make it clear she is no longer pursuing such a deal, and called on her to back UK-wide trade and immigration rules. A UK Government spokeswoman said: "We are seeking a deal that works for the whole of the UK, that delivers on the result of the EU referendum. "Rather than trying to undermine the result of a democratic referendum, we urge the Scottish Government to work with us to ensure, as we leave the EU, we protect the UK's vital internal market."